I used an oldie stamp set in the TE Store. . .Frightful Night. After I brayered the sky using the Autumn Leaves Kaleidacolor pad, I stamped the trees and bats from the set. Next I stamped, colored and cut out the clouds and tombstones and mounted them on the card with foam tape. 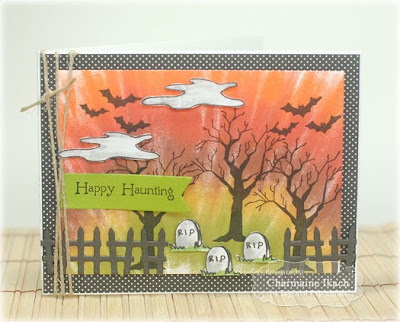 I added the fence using the Spooky Fence Border Die and then stamped the sentiment on a piece of cardstock that was die cut using the Banner Stacklets 1. 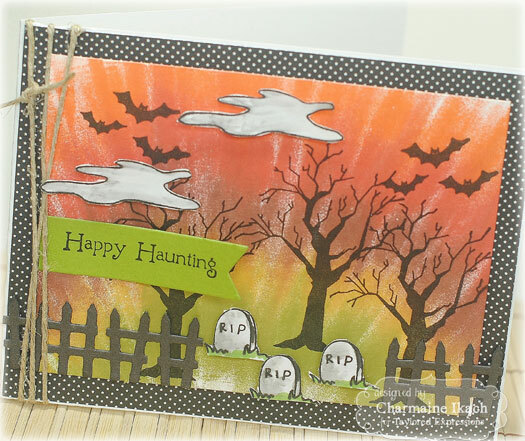 The papers are from the Halloween Parade Collection from Doodlebug. I hope you enjoyed the video on how you can create your own Bouncing Brayer sky!! 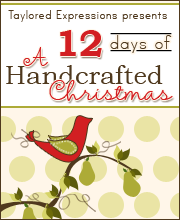 Be sure to see how the rest of the Baker's Dozen created their sky!! 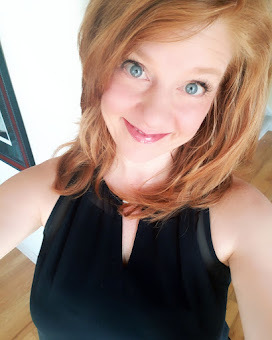 Wonderful technique and effect, Charmaine! Love your frightful background! Great tutorial, I will have to try this. Awesome technique, Charmaine! Love the way it looks combined with your Halloween scene! Wow!! LOVE your Awesome bouncing brayer Halloween sky Charmaine!! Looks Super!! Awesome tutorial too! What a fabulously spooky scene. I really like how you did the sky. Thanks for the 'how to'! Now that is a cool technique.